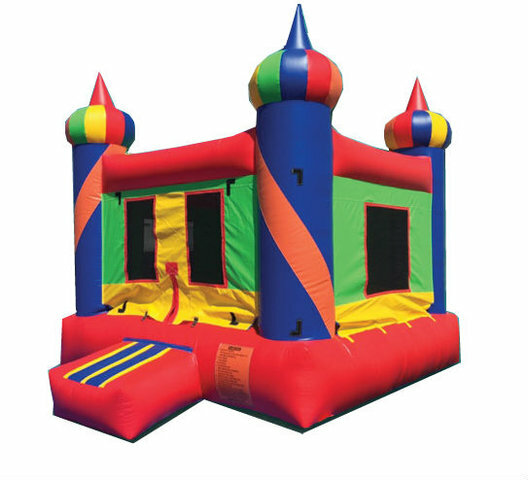 This castle bounce house creates an exciting mystery or royal theme on the outside and loads of fun on the inside. 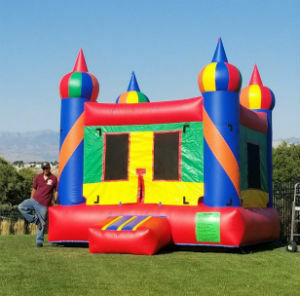 This bouncy castle features castle tower spires in red, yellow and blue on the four corners with yellow and red castle walls vented with safety netting. The blue base has an blue and red entry pad for royal subjects to enter the grand jumping castle for fun and exercise inside.